Welcome to BlogBlast For Peace - The Sixth Launch! Dona Nobis Pacem in the blogosphere begins early this year with this promotional blurb. Think of it as a info-BLercial brought to you by Mimi Pencil Skirt, keeper of the blue globes and all things BlogBlasty. It is my hope that the months stretching before us until November will give us time to inspire new peace bloggers to join us. That's primarily why we are skipping our usual June launch - to spread this concept to a wider audience and blog this smarter. Step 1: We have to start by promoting, promoting, promoting. The best way to do that is to display a BlogBlast logo in the sidebar of your blogs and websites that links to a post where new bloggers can find a globe. Please feel free to grab one and spread it around. There is also a countdown clock in my sidebar for your use. Step 3: The peace globe movement has been added to FaceBook. It's awesome! In just one week, 341 people have joined. The viral nature of Facebook's premise can exponentially catapult this movement. If you have a Facebook account, please join the BlogBlast group/"cause" and invite, invite, invite. I have spent a lot of time this week learning the applications there. We can send hugs, drinks, tickles, and everything in between. Can we send peace globes too? We'll see. I discovered that FB users who are not bloggers can STILL post their peace globes at the top of their profile on November 5th. That is truly exciting. Here's the link if you're interested. Please invite your FB friends. They will invite their friends and they will invite their friends. Direct people to this page to join. Step 4: We have to get high profile bloggers with large audiences to join us. I hear over and over again each time we do a launch, "I wish I'd known about this before. I would have participated." I need your help with this. Can you network this whenever you get the chance? 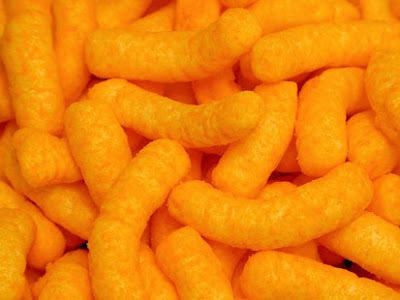 (*munchin' on Cheetos....*) If we had a corporate sponsor we could buy ads on Facebook and MySpace etc etc. but at this time, we do not. The guy who danced his way around the world on YouTube did it with tax-deductible sponsorship. Bloggers Unite and Blog Action Day (whose concept was based on BlogBlast For Peace btw) had massive participation in a relatively short amount of time because they had sponsorship AND high profile bloggers on board from the beginning. What am I doing? Working on all of the above and designing a YouTube video. If not, just throw Cheetos. How To Get Your Peace Globe 2009. Copyright © 2006-2013 Mimi Lenox. All Rights Reserved. Maybe another way of promoting is to put an Entrecard button to both blogs, so EC Dropper can also read about it. just a suggestion. Fickle - I've been the way of Entrecard before and found it to be a lot of work with little benefit for my blog...but I'll think about it. Thank you for the suggestion! You go my Queen! I made my own little button for my blog. I'm directing people here for now. I still have to put up links to the gallery. I'll get that done soon. I am member number 348 on Facebook and I sent invites to 30 friends who blog. Because I support your cause Queen Mimi. Travis - Hugs and smooches. I don't know if it's possible to feel the momentum just yet....but I already do. Thank you. I'm so glad I gave myself this extra time. Jen - And because you are wonderful. Thank you. I'm only waiting for a delivery and I'll have a YouTube video for you m'lady. Will it make a difference? Who knows. But it can't hurt! Mimi ... can I get one of the "countdown" flash drives like you have on your sidebar? ?